We are a Chamonix based language school providing French and English lessons. We take a fun and fresh approach to language learning. Why be bored in a large classroom of 15+ people? Our mini groups provide a great interactive learning environment. Altitude Language School was founded in 2013 by Celine (French Teacher) and Abi (English Teacher). Through our experience and expertise we have setup a professional school that takes a fun approach to language learning. 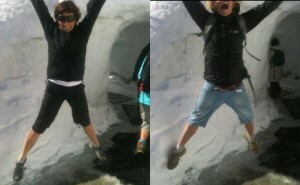 We aim to be Chamonix’s funnest and most flexible language school. After a free evaluation of your skills, you will be placed into an appropriate group. Working in smaller groups is the perfect way to learn a language, learning with people with similar abilities enhances motivation and maintains a good learning atmosphere. The mini groups are great fun! Every lesson is tailored to your specific needs and wishes. We use interactive methods, with lesons linked to daily life situations. We work to the CEFR (Common European Framework of Reference for Languages) ensuring your new language skills are relevant for work or preparing for language exams. We have partnered with Chamonix’s Evolution 2 (read more) to offer French or English Lessons and activity packages. Abi, our English teacher, is also a qualified ski instructor and climbing instructor and you can combine your English lessons with some great instruction in the Chamonix valley. September 15, 2013 Céline is teaming up with fellow teacher Abigail Pickett to found Altitude Language School. Céline has been running her French language school, French Pass, and Abi has been providing freelance English and French lessons. We are based in Chamonix valley and have some great ideas on how to get Chamonix locals and visitors 'up to scratch' with their languages. 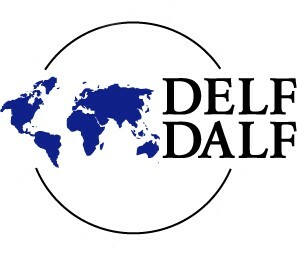 Céline qualifies as an examiner for DELF / DALF exams.